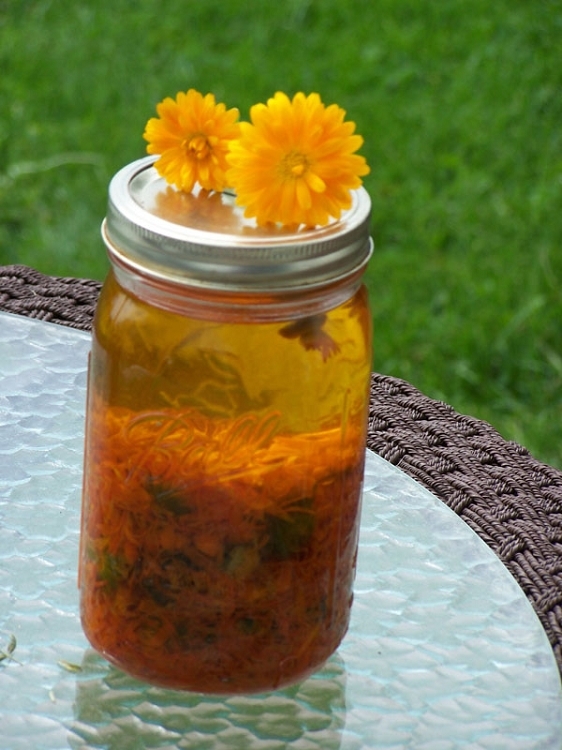 The Calendula herb has anti-bacterial and anti-inflammatory properties that relieves symptoms of inflammed and irritated skin conditions and topical infections. Calendula is well known for its moisture retaining properties and is the sole herb infused in our all natural Calendula Healing Lip Balm. Soothes, nurtures, moisturizes and protects dry and chapped lips. We grow our own organic Calendula from seed all summer long, harvest the flowering tops at their peak and solar infuse the herb in extra virgin olive oil. It then takes 6 weeks for the sun to draw out all the active principles from the herb into the oil. 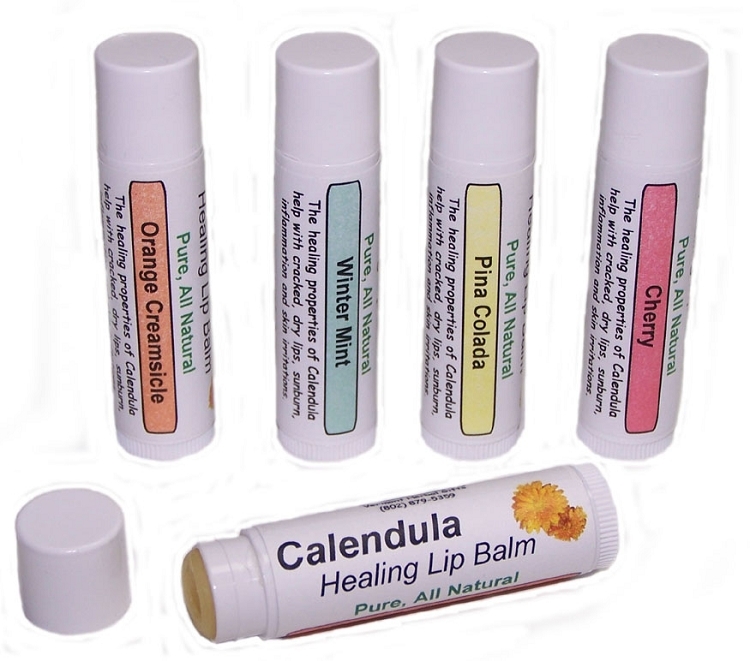 We make all our Calendula Healing Lip Balm in small batches from a blend of organic infused Calendula oil, natural Beeswax, natural flavoring and Vitamin E.
That means no artificial flavorings, no artificial colors and no artificial sweeteners. Our lip balms contain no petroleum jelly, mineral oil, parabens, alcohol or paraffin waxes. Packaged in a 0.15 oz. twist up stick that's sealed in shrink wrap for quality and safety. Calendula flowers sun extracted in extra virgin olive oil. This lasted about as long as my big-name lip balm, yet didn't give me any waxy feeling and I knew it was good *for* my lips as well. Great results and I loved the smell!